The Girard Dam is one of 9 dams located along the Mahoning River. Dams build up sediment along with contaminants behind them and prevent natural migration and restrict habitat of fish. 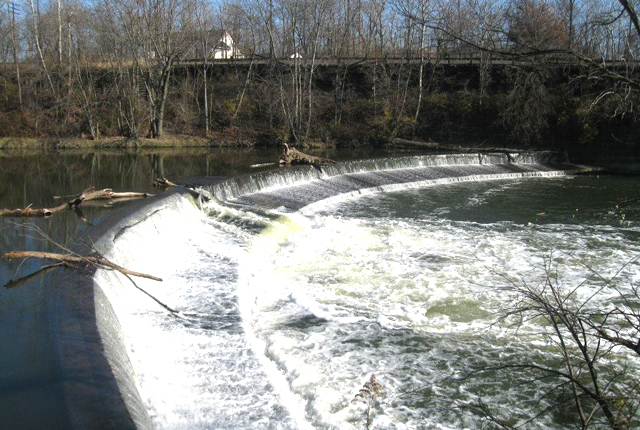 One of the Friends of the Mahoning River’s goals is to remove these dams and restore the river to its natural state. The dam in Lowellville is currently scheduled for removal in part from efforts by the FoMR. Join the Restoration and Preservation Committee and help out!